Lend more to companies and get more trading clients: that’s how the Wall Street firm hopes to plug gaps in the bonds, forex and commodities unit that caused recent earnings blushes. But such drawbacks have been clear for a while. Goldman’s belated fix is pretty underwhelming. 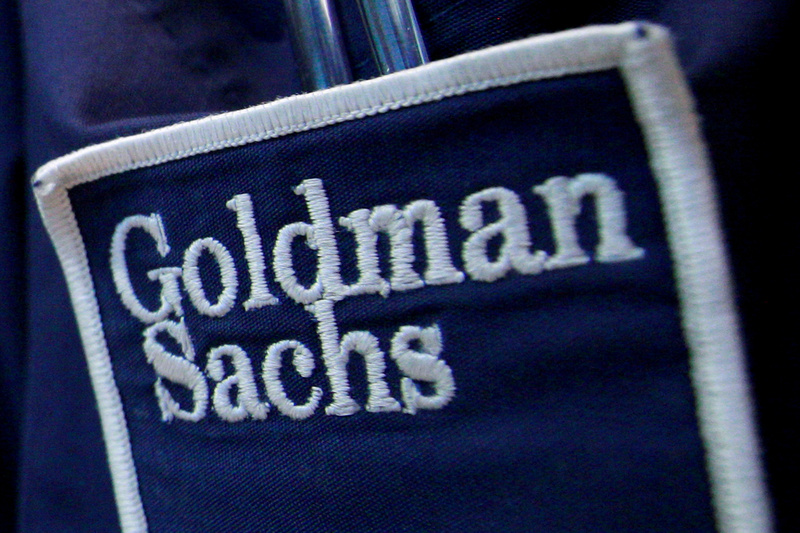 The logo of Dow Jones Industrial Average stock market index listed company Goldman Sachs (GS) is seen on the clothing of a trader working at the Goldman Sachs stall on the floor of the New York Stock Exchange, United States April 16, 2012. Goldman Sachs President and co-Chief Operating Officer Harvey Schwartz on Sept. 12 said that the firm could grow revenue by $5 billion or more over the next three years. That could equate to an extra $2.5 billion of pre-tax earnings and a 1.5 percentage point increase to its annual return on equity. Speaking at the Barclays Financial Services Conference in New York, Schwartz said the fixed-income, currency and commodities division could add at least an extra $1 billion to the top line. Some $600 million could come from deepening its relationships with asset managers and banks and another $350 million from expanding its corporate-lending business. Goldman’s FICC revenue fell 40 percent in the second quarter compared to the same period last year, the bank reported in July. Rivals JPMorgan and Citigroup reported drops less than half as severe, while Morgan Stanley’s FICC revenue decreased by just 4 percent.